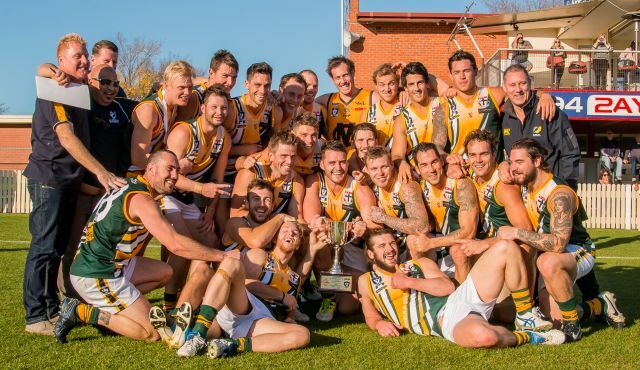 On April 11th, our head Sports Physiotherapist and Director Lachlan Goodison saw a fantastic victory down in Albury. As a travelling physio for the MPNFL (Mornington Peninsula Nepean Leavgue), he was able to watch them beat the Albury-Wodonga representative team spear headed by Brendan Fevola. The MPNFL team have now earned the right to play against the Geelong league next year for the right to be crowned Victorian Country’s best football league. This was the 21st year that Lachan has been the Physiotherapist for the representative team and still loves the level of football played, the professionalism and comradery of the players and the bus trip home!